The rollout of President Barack Obama’s signature legislative achievement, Obamacare, was marred by substantial technological and legal challenges throughout 2013. The law’s problems are not over yet, as Obamacare will face a series of hurdles throughout 2014. Jan. 1 brings the law’s first real test, as this is the date on which insurance plans bought through the exchanges begin covering people. Hundreds of thousands have signed up for the new plans. However, it remains to be seen if the insurance companies received accurate information through the faulty website HealthCare.gov. If they did not, it is an open question as to whether or not those who think they are insured actually have coverage. Improvements to the back end of the website—the part that transmits information from the federal agencies to the private insurance companies that are actually insuring individuals—have been less than impressive, as insurance companies were complaining as late as mid-December about getting incomplete and faulty insurance applications. This potential problem is compounded by the fact that many insurance companies, at the administration’s urging, are offering to cover individuals before they have made their first payment. Early problems with law’s implementation could lead the administration to delay what remains of the law’s requirements, especially the individual mandate. 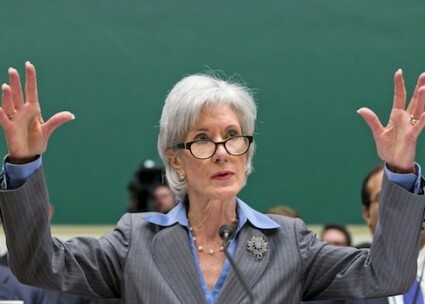 The administration has already delayed the mandate for those people whose plans were canceled late in 2013 and at least one healthcare expert is predicting that the mandate will be delayed for all. Meanwhile, many small businesses will feel the effect of the law throughout the year. If a small business renewed its insurance plans in 2013, it can bypass the law’s requirements for another year. However, when it renews in 2014 its new plans will have to comply with the law and its costs could rise. Some small businesses in 2013 curtailed or canceled health insurance policies offered to employees in anticipation of the law’s requirements, and it is possible that many small businesses will follow suit in 2014. The law will also impact large businesses, as the mandate that all businesses with over 50 full-time employees provide coverage to their employees will go into effect after a one-year delay. Additionally, other delayed mandates will take effect throughout the year. The law’s biggest test will arise late in 2014: the second-year price of insurance on the exchanges. The ultimate enrollment numbers this year will directly impact the price of insurance on the exchanges next year. If millions of people with a diverse range of health needs sign up, creating a broad pool for the insurance companies, prices could stay stable. However, the enrollment numbers from October and November were low: Fewer than 150,000 people bought insurance on the exchanges through the end of November because of technical problems with the website, well under the millions needed by the end of March to make the exchanges viable. The website’s technical problems, and the difficulty it took to sign up for care, suggest that only the extremely motivated—namely, those who need the insurance because of health problems—would have persevered through the glitches and bought insurance. If the pool of people who bought insurance plans is too small or too sick, insurance companies could respond in two ways. They could hike the prices of the plans next year in order to compensate, or they could determine that they cannot make a profit through the exchanges and simply pull out, reducing the number of companies competing for business on the exchanges. The administration is also facing legal challenges to the law, at least one of which could fatally cripple the law should it succeed. Oklahoma Attorney General Scott Pruitt is challenging the federal government’s ability to subsidize insurance premiums for people who buy insurance on federally run exchanges. The law only explicitly provides subsidies for insurance bought on state-run exchanges, but the administration has interpreted the law to provide subsidies to people who buy insurance on the exchanges run by the federal government as well. The federal government is running exchanges in 36 states. If the lawsuit succeeds, millions of people would not receive financial help to buy insurance. The subsidies provide a strong inducement for people to buy on the exchanges, so if the subsidies are ruled illegal, many people might not be able to afford insurance any more. This would cause the number of people buying insurance through the exchanges to drop and institute a "death spiral" from which the program might not recover. Additionally, many religious nonprofits and several for-profit businesses, including Hobby Lobby, have brought suit against the requirement that all insurance plans cover contraception, calling it a violation of their religious freedom. Obamacare remains deeply unpopular across America, and the upcoming challenges could further turn public opinion against Democrats’ central achievement, putting congressional Democrats at risk in the 2014 midterms. Republicans will likely run against Obamacare in the midterm election. If they have genuine alternatives to Obamacare, as several have tried and are trying to create, the electorate may be persuaded to vote for the GOP and further weaken the Democratic Party’s ability to improve the law via legislative means.